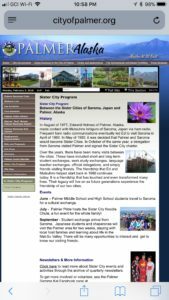 During Field Day 2017, I learned a little bit of Palmer and ham radio history from Mayor Edna Devries. 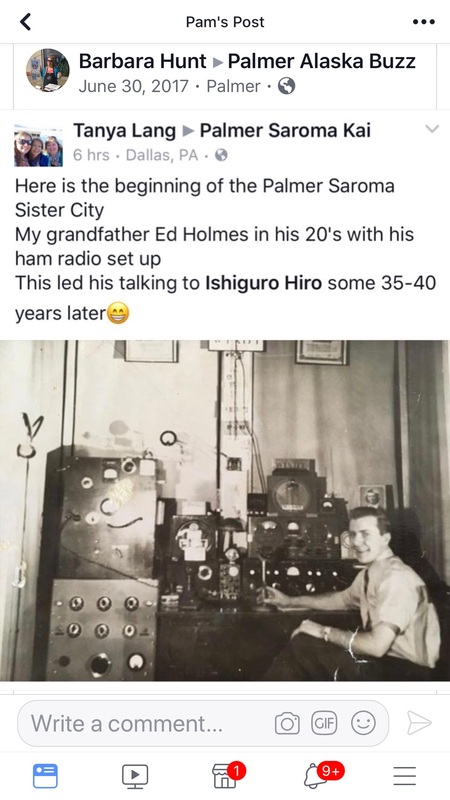 Then a few days later there was a post on Facebook by the granddaughter of of the ham. 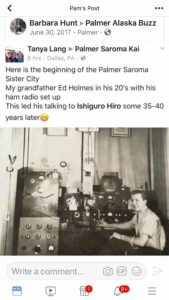 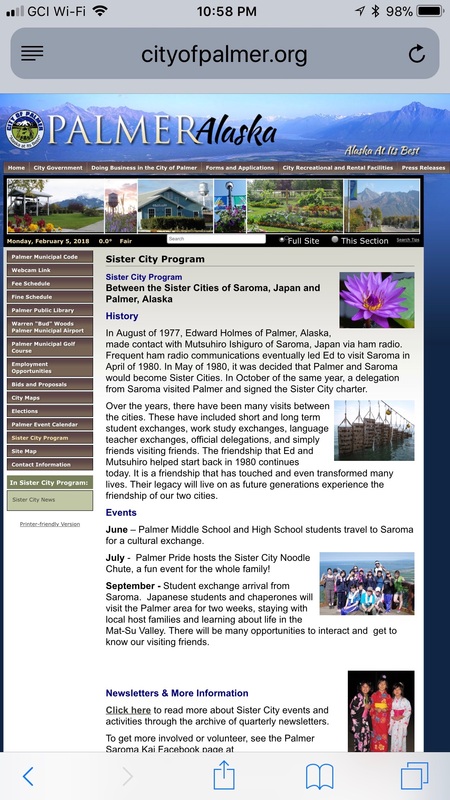 In August of 1977, Edward Holmes, KL7HFX, who lived in Palmer, had contact with Mutsuhiro Ishiguro in Saroma, Japan and this led to the two cities becoming sister cities.